Scientists have created cells with fluorescent dyes that change color in response to specific neurochemicals. By implanting these cells into living mammalian brains, they have shown how neurochemical signaling changes as a food reward drives learning, they report in Nature Methods online October 26. These cells, called CNiFERs (pronounced “sniffers”) can detect small amounts of a neurotransmitter, either dopamine or norepinephrine, with fine resolution in both location and timing. Dopamine has long been of interest to neuroscientists for its role in learning, reward, and addiction. “Dopamine is a ubiquitous molecule in the brain that signals ‘mission accomplished.’ It serves as the key indicator during almost all aspects of learning and the formation of new memories,” said David Kleinfeld professor of physics at UC San Diego, who directed the work. “Disruptions to dopamine signaling lie at the heart of schizophrenia and addiction.” Kleinfeld also holds appointments in neurobiology, and electrical and computer engineering. Neuroscientists have long sought to measure dopamine in the brain during controlled conditions. But the chemistry of dopamine is so close to that of norepinephrine that fast and accurate measurements of dopamine, not confounded by other molecules, have eluded scientists. Kleinfeld and Paul Slesinger, a professor of neuroscience at Icahn School of Medicine at Mount Sinai, New York, developed CNiFERs to meet this challenge. These modified cells can be inserted into the brains of animals to observe changes in neural signalling in real time. 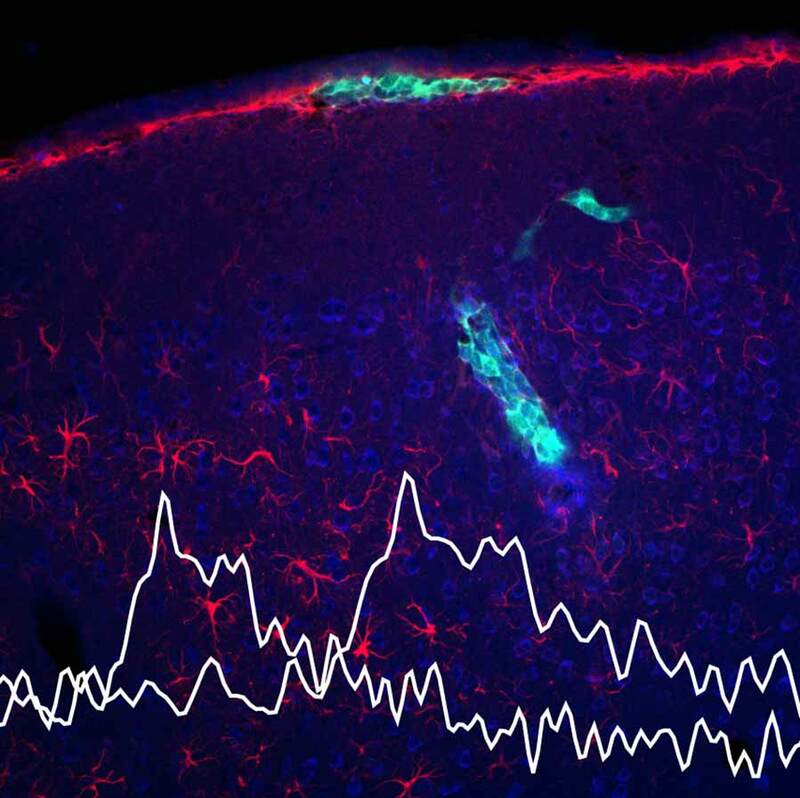 Arnaud Muller and Victory Joseph, working Kleinfeld’s laboratory, implanted CNiFERs into the frontal cortex in mice, then watched how signaling changed as the mice learned to associate a sound with a sweet reward. This is classical conditioning, in which a tone that reliably preceded a drop of sweet water came to elicit anticipatory licking over time. The researchers found that release of dopamine, but not norepinephrine, tracked this change. That is, dopamine was initially released with the reward, but began to be released earlier, with the tone, as the mice learned to associate this previously neutral signal with something pleasant. In mice that failed to learn or made only a weak association, the anticipatory release of dopamine was reduced as well. Brain researchers have long suspected this link. But because the design of these cellular reporters is quite versatile, a number of different chemical signals of interest could be tracked using the same approach. “This work provides a path for the design of cells that report a large and diverse group of signaling molecules in the brain,” Kleinfeld said. The National Institute on Drug Abuse, National Institute of Biomedical Imaging and Bioengineering and Hoffman-La Roche provided funding for this work.